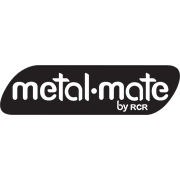 Metal Mate Slotted Steel Accessory Kits contain a specially designed flanged nut and a square shank bolt to aid in the assembly of the slotted steel system and enhance the rigidity of the completed project. 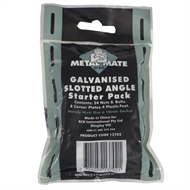 Starter kits are available in either black or galvanised finish and contain a triangular shaped corner brace and corner feet. 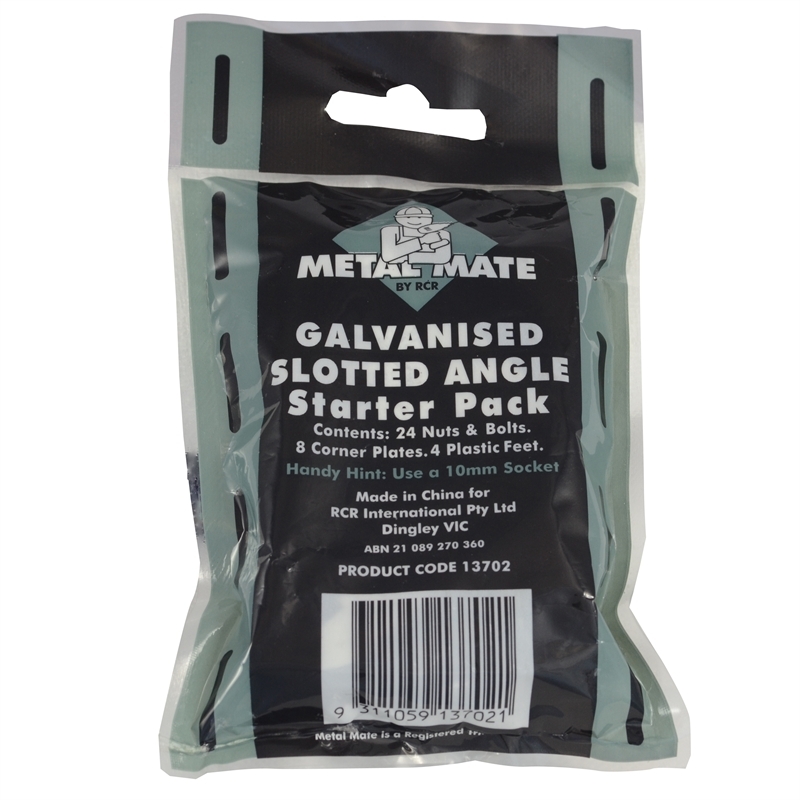 The add-on pack contains larger quantities of nuts and bolts only.